Whether it's an employee at a competitor firm whose work stands out or a hardworking retail associate who makes a great first impression, these types of recruits already meet certain requirements, saving HR staff the hassle of sifting through resumes from unqualified candidates or applicants who look right on paper, but aren't a good fit with the corporate culture. Scouring online resumes, revisiting past applications and exploring discussion forums are other ways to identify talent. Self-Selection Once a good group of candidates has been identified, allowing them to opt into the next step of the hiring process is an effective way to discover who is seriously interested in a position. Inviting potential hires to an informal mixer offers them the chance to get to know the company better and allows decision-makers to watch candidates interact with key staff members. Asking frontrunner candidates to complete additional tasks, like writing an essay or submitting sample work, is another option. Only those truly interested will take these next steps. Group Interviews One-on-one interviews were once the norm, but some recruiters find it more effective to interview candidates in groups so they can watch them interact with others and compare them on the spot. Grouping potential hires around a conference table or setting up a speed-dating-style interview process are two ways to go about this. Having candidates come into the office and attempt to complete a typical task is another way to see them in action. A more extreme strategy might be inviting candidates on an overnight retreat. Advertising Listing jobs on traditional job sites often misses the mark. Targeting the right candidates from the outset requires advertising on industry-specific forums, distributing information at events good candidates might attend and even investing in targeted online advertising pushed to Internet users who research keywords associated with the position. Plain-text ads aren't always enough to get noticed; video postings and ads written in code are just a couple ways some recruiters are trying to make their positions stand out. Referrals Most successful recruitment strategies include an internal referral program, whether formal or informal. Good employees probably know other potentially good employees; for the right incentive, they might be willing to recommend friends for open positions. Using social networking sites and email signatures to let the world know a company is hiring is another option. Employees with enough motivation, like monetary bonuses, electronic devices or even coveted parking spots, might drum up a great pool of referral candidates online and through word-of-mouth. The right candidate for the job is out there. It just takes a little hard work and some creative recruitment methods to find him or her. Making sure job postings grab the attention of the right people, being open to finding talent in unexpected places and proactively pursuing the best candidates in any given field should yield a good crop of candidates for any position. 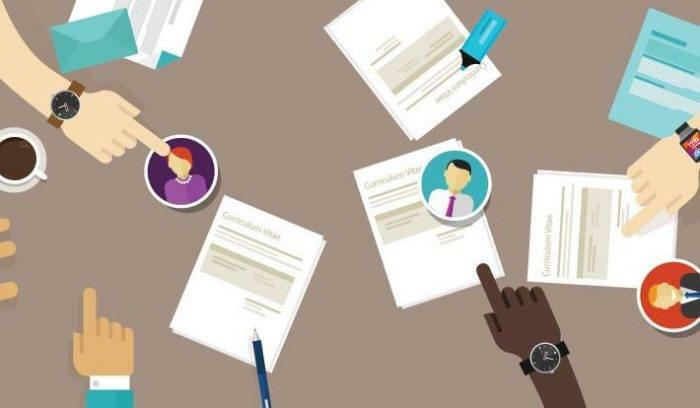 Using the process of self-selection and employing creative interviewing techniques should help ensure that the best applicant lands the job.